Ted Lyte, amateur thief, has chosen an isolated house by the coast for his first robbery. But Haven House is no ordinary country home. While hunting for silverware to steal, Ted stumbles upon a locked room containing seven dead bodies. Detective Inspector Kendall takes on the case with the help of passing yachtsman Thomas Hazeldean. The search for the house's absent owners brings Hazeldean across the Channel to Boulogne, where he finds more than one motive to stay and investigate. 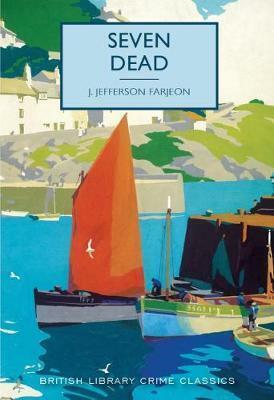 Seven Dead is an atmospheric crime novel first published in 1939.